Timber Wolf Gold Titanium Pocket Knife | BUDK.com - Knives & Swords At The Lowest Prices! 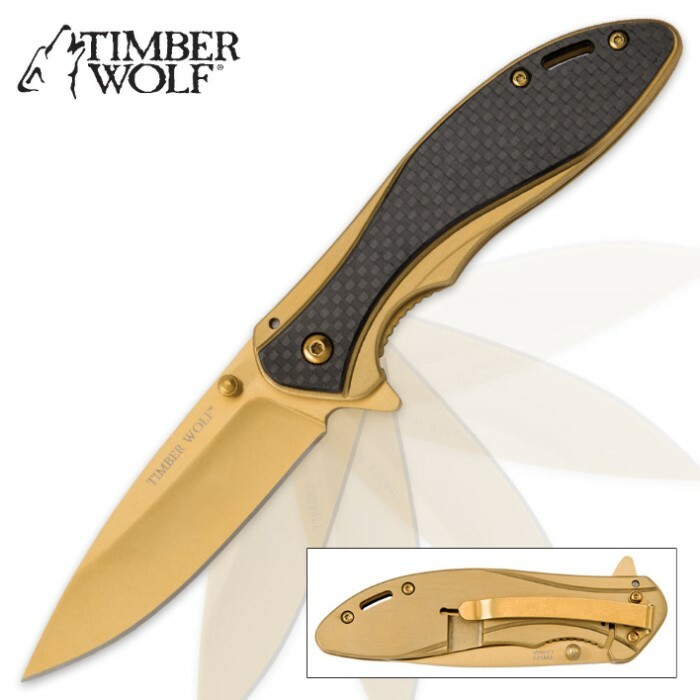 The Timber Wolf Gold Titanium Pocket Knife has an overall luxury look that makes it a stand-out knife for your collection! The 3 1/4” stainless steel blade is razor-sharp and can be deployed quickly using the flipper or thumbstud to engage the assisted opening mechanism. 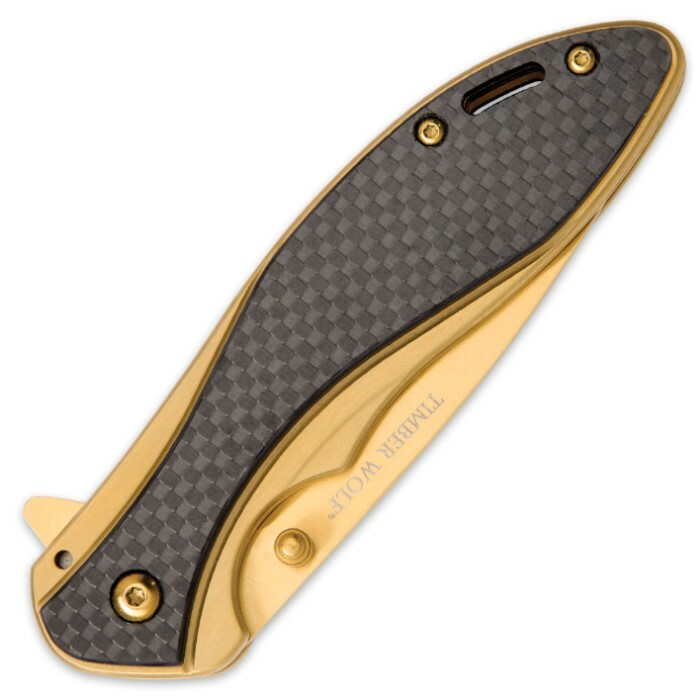 Both blade and handle are gold titanium electroplated for a brilliant finish and a black carbon fiber insert complements the overall look of the pocket knife. 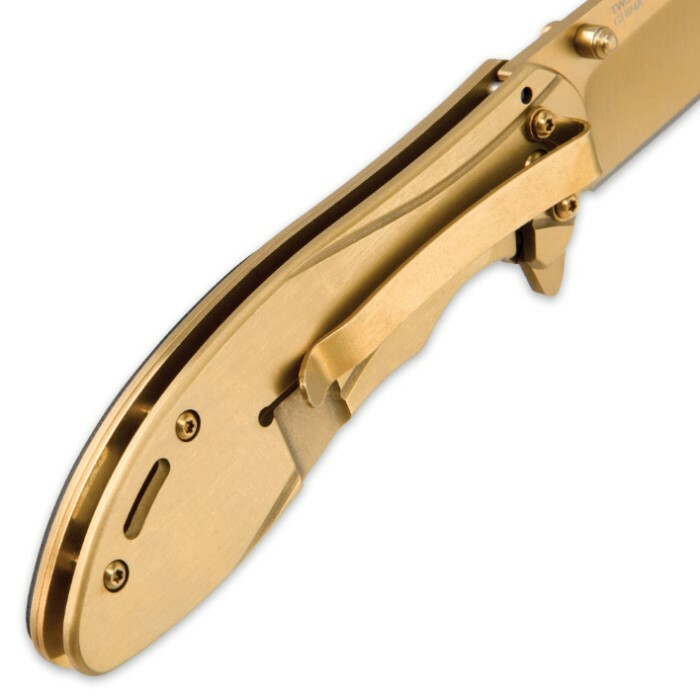 A gold titanium electroplated pocket clip lets you carry this pocket knife with ease.